Now in Buenos Aires: La Rioja Part II: Holy Moley! Haro is located on one of the major routes of the Camino de Santiago, which wends its way another 600 kilometers to the Basilica of St. James in Santiago de Compostela. Walking through and around Haro one finds all sorts of signage directing pilgrims along their way, most incorporating some variant on the seashell, a symbol of St. James/Santiago. 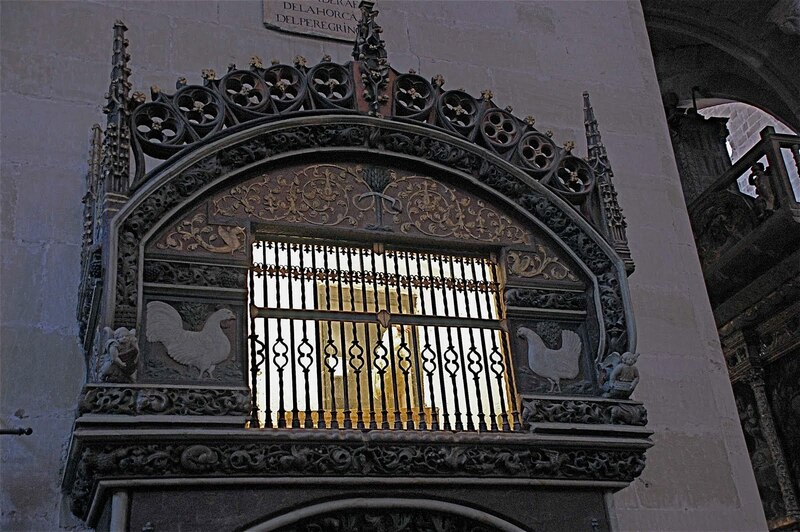 Nearby is the town of Santo Domingo de la Calzada, named for its favorite son, who in the 10th century built bridges, roadways, and a hospital to help travelers on the road to Santiago. 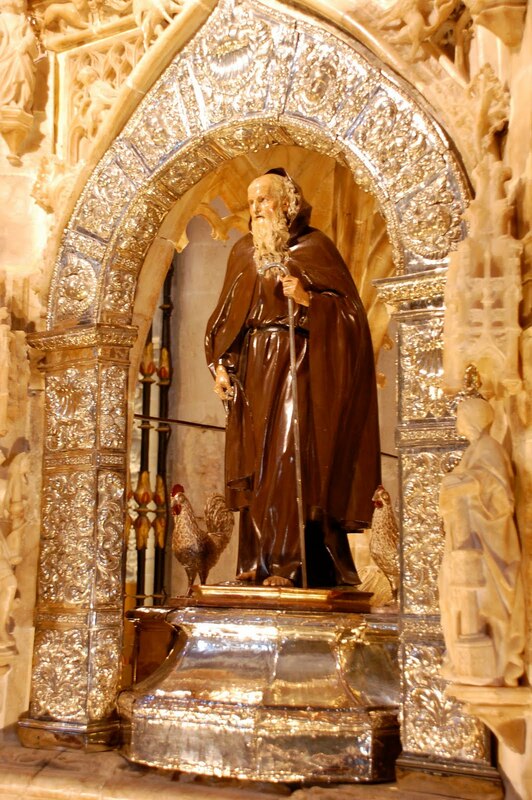 The cathedral in Santo Domingo contains the remains of the saint, along with a coop full of live chickens, honoring Dominic's most famous miracle. The story is that a young man was wrongfully hanged for a crime he did not commit. When his parents went to remove his body from the gallows, they found he was still alive. They rushed to the local authority, disrupting his lunch of roasted chicken. "Your son," he assured the parents, "is no more alive than this chicken," at which the bird rose up from the plate and began crowing. 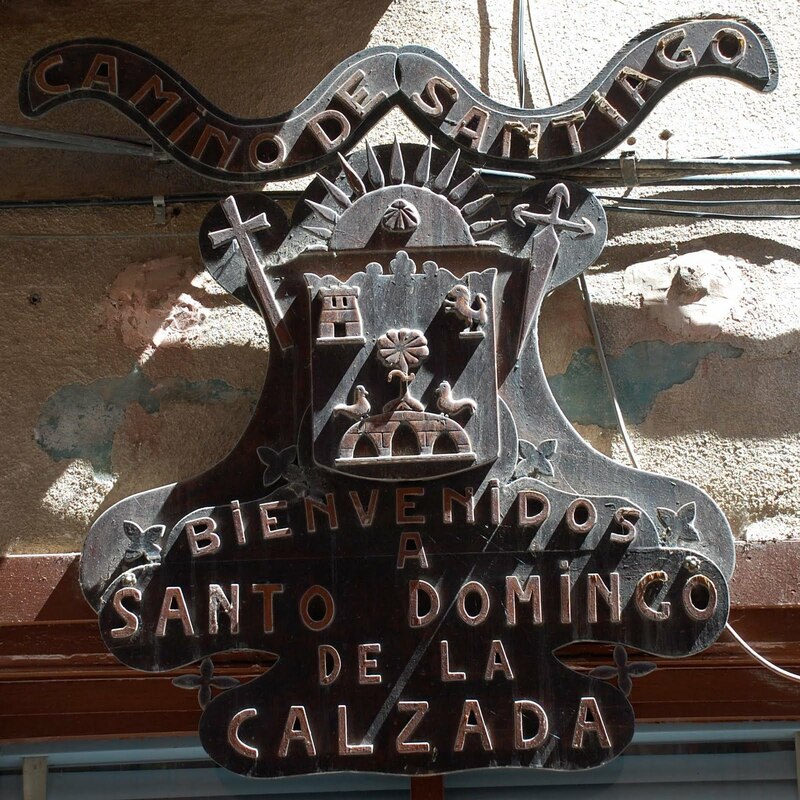 Santo Domingo - for all you engineers out there - is the patron saint of roads, bridges, and water projects. 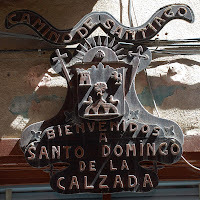 Just in case you need a little help. . . .
Down the road from Santo Domingo de la Calzada is the village of San Millán de la Cogolla, home of the Suso ("upper") and Yuso ("lower") monasteries. The former was founded in the 6th century and the latter 10 centuries later. The monasteries have been designated a UN World Heritage Site; the first written evidence of the Spanish language comes from Suso, where monks annotated Latin texts with the vernacular. More photos of Santo Domingo de la Calzada here. Photos of San Millán here.